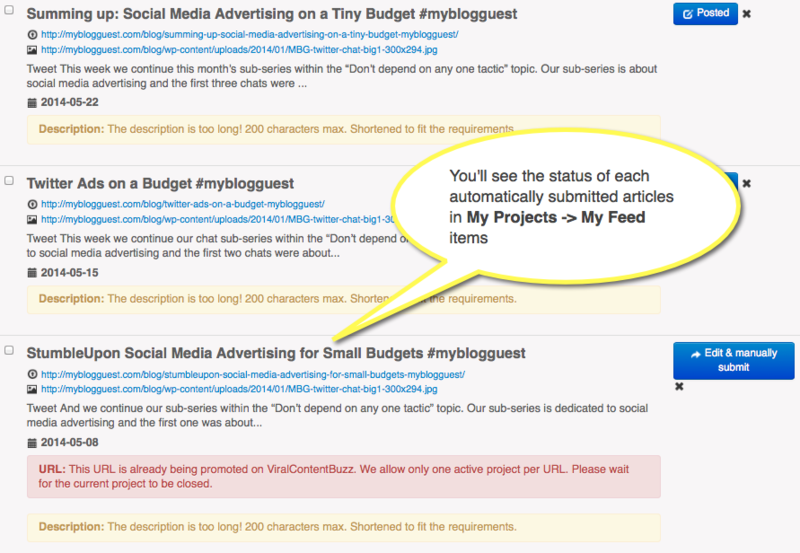 Watch all your newly published article automatically go to the VCB dashboard for social media shares and traffic! Login and upgrade to “Busy bee” plan and you’ll immediately get an access to “My feeds” feature. Add your blog RSS there and wait for the moderator to review it. We welcome any good blogs on any topics that add value to the web: Cool lists, how-toes or videos! Mind that we only allow content-rich RSS feeds here as we care about the quality of the content that gets shared via ViralContentBee So, please no product listings feeds, press releases or weak affiliate reviews here. We are willing to push content with some “viral” appeal that will generate many natural clicks and re-shares! Default social media accounts it will be shared on (we recommend checking all of them: The more channels you select, the more your content spreads! We support Twitter, Facebook, Pinterest and StumbleUpon). Check “Submit automatically” option for all the new articles to go to the moderation queue automatically. Once your RSS is approved, you’ll see all newly-published articles to be reviewed by the mods and placed to the ViralContentBee dashboard without you to have to login to do that. Each of your blog articles will be shared by our members on all the selected social media platforms for more traffic and reach! VCB RSS feature is the best way to get shares on auto-pilot! 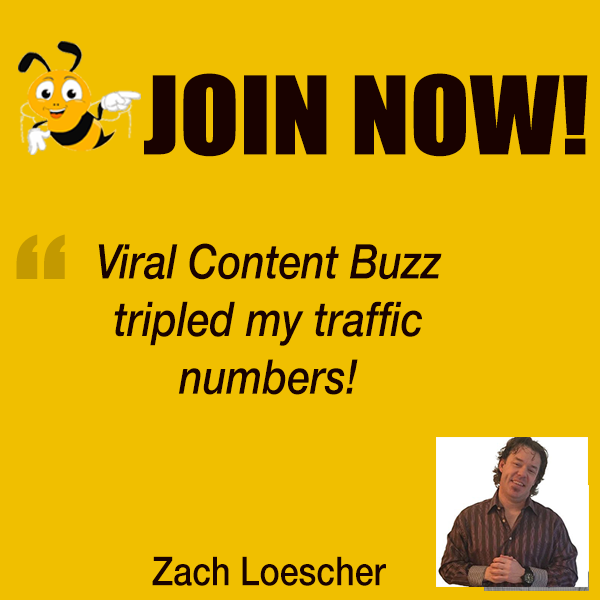 Create social media buzz for your high-quality content! Is the cost monthly? Secondly, my posts are going to the wrong face book page and I am having trouble changing it so cannot do anything until I get that organised. Clearly not a tech head so this will help.